Budels Goudblond is a top-fermented blond beer from the Dutch brewer "Budels". The beer Budels Zware Dobber is brewed by Budelse Brouwerij in Budel in The Netherlands. The beer Budels Bio Pilsener is brewed by Budelse Brouwerij in Budel in The Netherlands. The beer Budels Batavier is brewed by Budelse Brouwerij in Budel in The Netherlands. The beer Budels Honey is brewed by Budelse Brouwerij in Budel in The Netherlands. 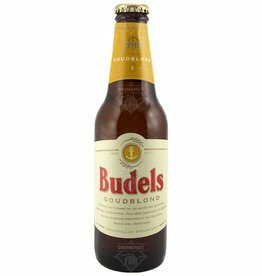 Budels Malt is a refreshing non-alcoholic beer from the Netherlands and is also organic, so doubly responsible drinking.